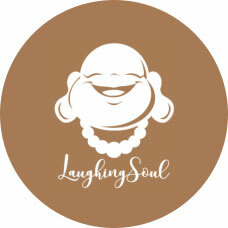 Laughing Soul is founded by a corporate veteran who started her spiritual journey only a couple of years back. Though short, her experiences have been deeply profound and enlightening, opening doors and insights to the bigger perspective of the universe and love as a whole. As part of her service to light, Laughing Soul is proud to present the inaugural Love and Light Festival, Singapore 2018 and its associated merchandises, both for the festival and the Laughing Soul brand as well. In addition, Laughing Soul will be offering reading and healing services as part of its service during the festival. Let us know if you have any enquiries or feedback. Compliments are always welcome too! We’ll get back to you as soon as possible. By submitting this application form, you agree that may collect, use and disclose your personal data, as provided in this application form, or (if applicable) obtained by our organisation, for the following purposes in accordance with the Personal Data Protection Act 2012 and our data protection policy (available at our website): (a) the processing of this application; and (b) the administration of the application with our organisation and any relevant third parties. Please visit our website for further details on our data protection policy, including how you may access and correct your personal data or withdraw consent to the collection, use or disclosure of your personal data.